So T-mart offered me a try-out and here's what I picked out from the fashion selection at T-Mart: A long-sleeve lace blouse with pretty floral detailing on the hem. This lace blouse actually has three color options which are black, white, and apricot. Since I already have a full-on lace blouse in white so I decided to get this apricot one because this color tend to compliment my skin tone. First of all, can you believe how affordable this long-sleeve blouse is? This pretty lace blouse is only $9.48 at T-Mart and that price already include free shipping worldwide! The shipping took about 2-3 weeks to Indonesia and that is pretty normal for standard International shipping. When this blouse came in the mail I inspect the quality right away and it has passed my judgement. 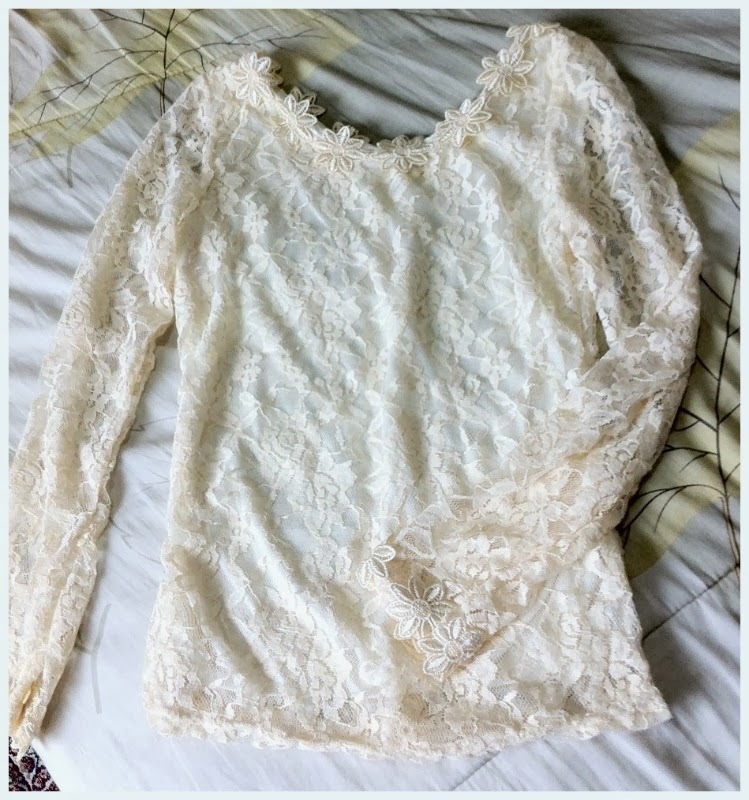 The quality of the lace blouse is great without any signs of loose thread (thumbs up!) 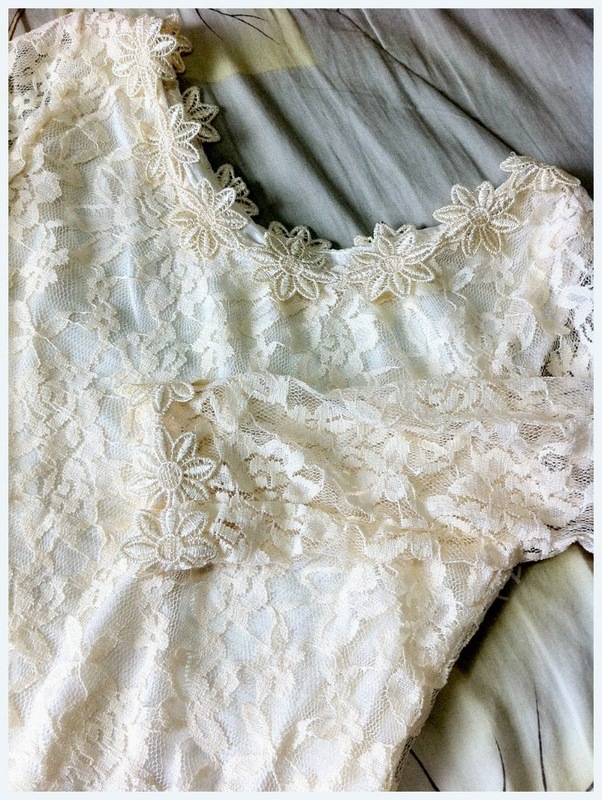 and the floral detailing is even prettier in real life. The color also looks the same as the one in the photos on their website so I am pretty satisfied with that. Here I'm pairing it with my orange plaid skirt from Chocolat via Metro, my black H&M flats, my orange bag courtesy of Chinova, and a couple of dainty bracelets and my Mango watch. Another skirt pairing, this time it's an ultra feminine look with vintage floral skirt and chandelier earrings. The sandals are from Vincci and the iPad case is via Metro dept.store. This is my favorite look. Here I'm pairing it with a brown pants and some animal-print accents. The scarf is from H&M, the flat shoes are courtesy of Dorothy Perkins, the bag is from Elle, the watch is from Fossil and the two wooden bracelets are part of a bracelet set that I got as a birthday gift. 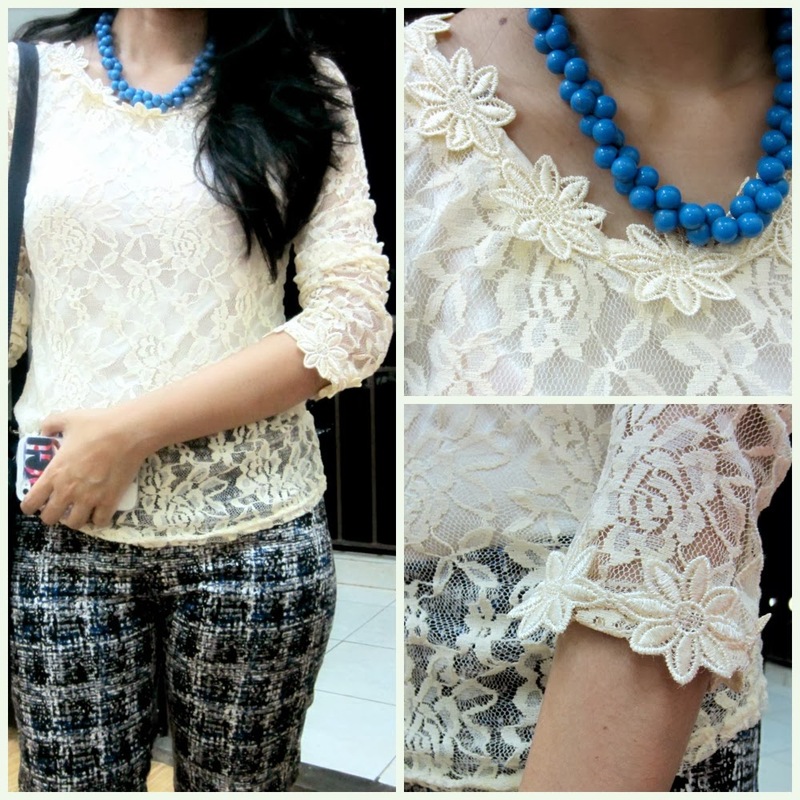 See how versatile the lace blouse is? The apricot color makes me want to style it with brown or orange but I'm gonna try to pair it with some other colors next time. Meanwhile, if you're looking for cheap gadget tools or affordable fashion items with free shipping, why don't you take a look at T-Mart. If you're looking for t-shirts for everyday wear you can also check out their Tmart T-Shirts section.